POOR KALYPSO REVUE: Very few patrons turned up for the opening of the Kalypso Revue tent on Saturday at the SWWTU Hall, Wrightson Road, Port of Spain. Despite being promised what may be deemed as a lifeline, the Kalypso Revue tent may still have to close its doors. This was the sentiment of tent manager Michael “Sugar Aloes” Osouna, as he stood backstage on Saturday night and explained the ongoing issues. Nobody eh call Yet, laments Lisa Roberts. 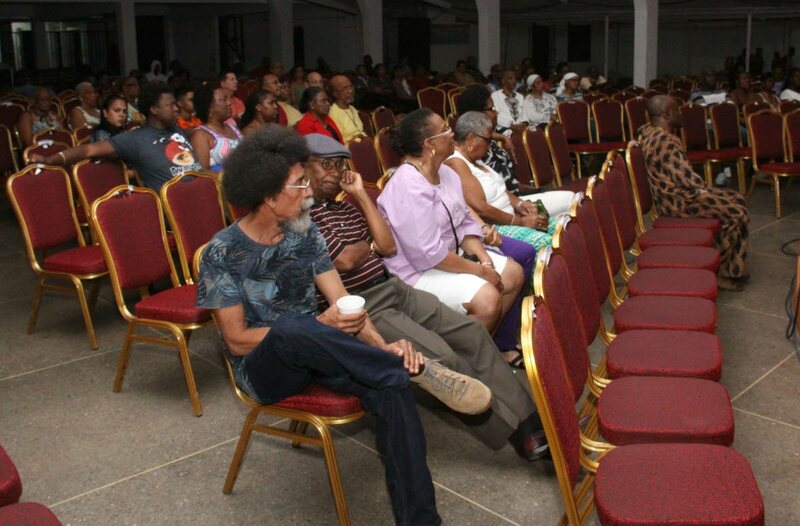 At a press conference held last Tuesday at the tent’s SWWTU Hall, Wrightson Road, Port of Spain location, Aloes explained that they needed at least $500,000 to sustain the tent until Carnival Friday or they would have to be shut down. 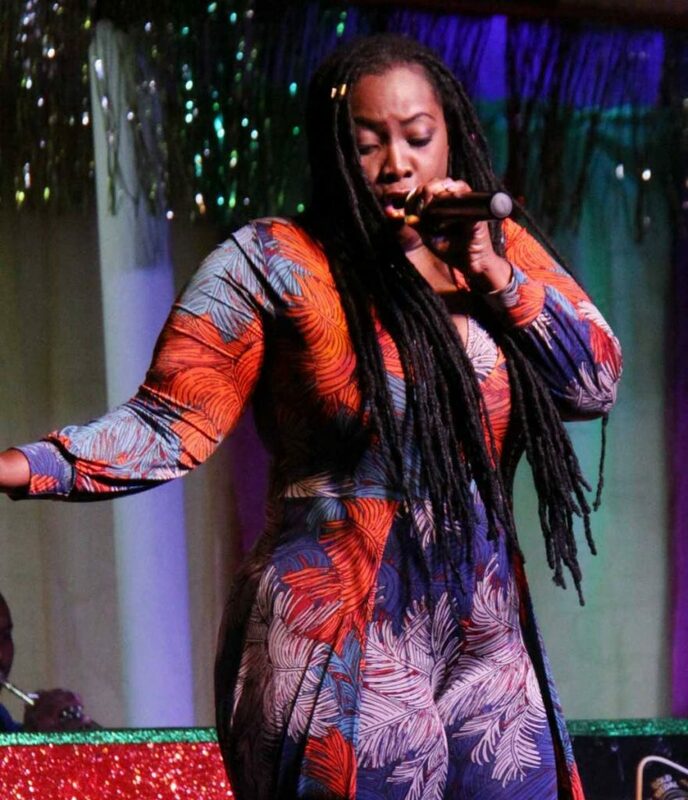 Minister of Community Development, Culture and the Arts Dr. Nyan Gadsby-Dolly came in for some criticism from the former national calypso monarch. 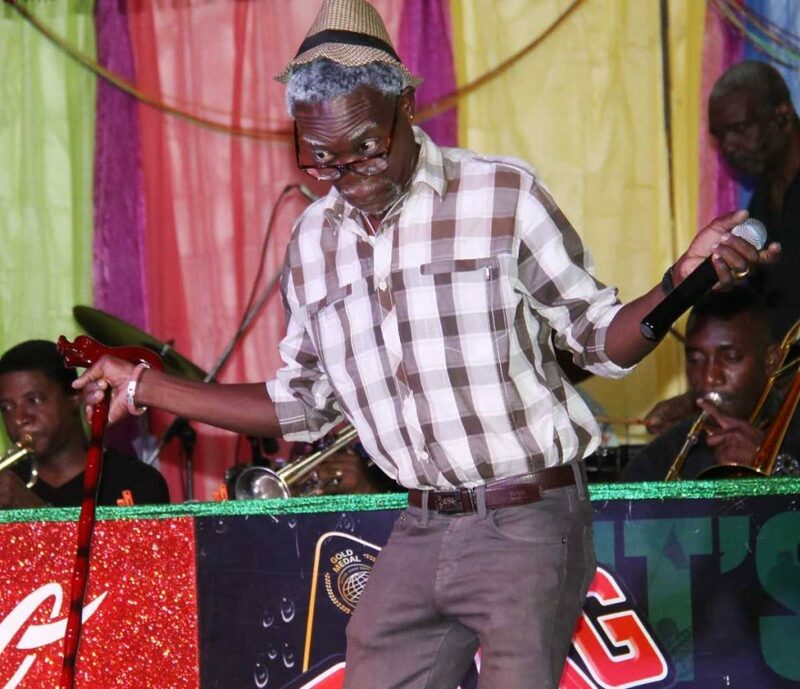 Wendell Goodridge sings Old is the New Young. Also facing the brutal reality of low patronage at their calypso tents are Divas, Kaiso House, Icons (managed by Cro Cro) and Kaiso Karavan to name a few. Aloes said, “Most of these tents opened twice – opening night and judging night. Most of them received a good opening night because of the amount of free tickets given away.” At it’s peak, Kalypso Revue, on Saturday, had 69 people seated in the audience, some of which were performers and their supporters. The tent has a staff of 62 people including former monarchs, Chalkdust, Devon Seales, Pink Panther and Sugar Aloes. The tent was opened by Lord Kitchener over 55 years ago. Reply to "Kalypso Revue opens but struggling"